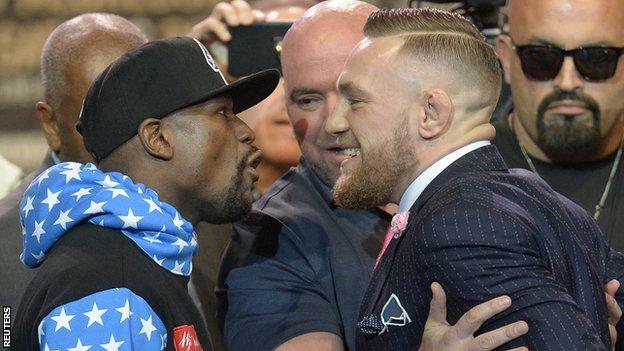 When former five-weight boxing world champion Floyd Mayweather and UFC lightweight title-holder Conor McGregor step into the ring at the T-Mobile Arena in Las Vegas on 26 August, some 20,000 people will be in the arena. The scrap for tickets during Monday’s release was intense, short-lived and disappointing for the majority. But will anyone be willing to shell out $150,000 (£115,000) to be there? Ticket resale website StubHub has tickets on sale at that price, with several others at a comparatively cheap $100,000 (£75,000). BBC Sports reports that American Mayweather, 40, will come out of retirement to face McGregor in the 29-year-old Irishman’s first professional boxing bout.